​Congratulations to friends of Gotham Jan McLaughlin and Fred Rosenberg and their crews for their Emmy nominations for sound mixing on Nurse Jackie and sound editing on Boardwalk Empire, respectively! Other friends of Gotham with non-audio nominations include The Good Wife, Louie, Girls, Saturday Night Live, Project Runway, and Comedians in Cars Getting Coffee. and their crews on their Cinema Audio Society wins! and their crews on their Cinema Audio Society nominations! 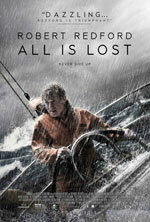 A huge shout out to Gotham alum Micah Bloomberg for his BAFTA nomination for his part in the sound mixing in All is Lost! Good luck to him and all the other nominees! Read more about Do I, BAFTA? Congratulations to all the Golden Globes nominees, especially The Good Wife, Brooklyn Nine-Nine, Behind the Candelabra, The Blacklist, Orange Is the New Black, The Michael J. Fox Show, Girls, Nurse Jackie, Phil Spector, and The Wolf of Wall Street to whom we had the privilege of providing audio gear and/or walkies. I'm not guaranteeing that that's their secret, but it couldn't hurt! 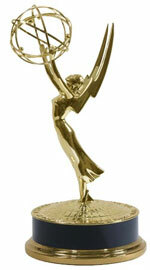 ​Our congratulations to Frank Stettner, Dennis Towns, Jan McLaughlin and their entire sound teams for their 2013 Emmy wins! Friends of Gotham Nurse Jackie, 30 Rock, The Big C, Boardwalk Empire, The Newsroom, Saturday Night Live, Louie, MasterChef, Deadliest Catch, The Good Wife, Louie CK: Oh My God, and Project Runway also scored wins! Congrats to all! and their sound departments! Good luck to all the nominees! 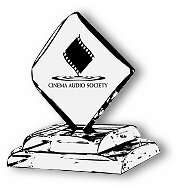 Congratulations to all the nominees for the Cinema Audio Society Technical Achievement Production Award! Girls took home two Golden Globes last night for Best Television Series (Comedy or Musical) and Best Actress in a Television Series (Comedy or Musical)! Well done! Congratulations to friend of Gotham Drew Kunin on his Oscar and BAFTA nominations for the production mixing of the excellent Life of Pi!